I recently made a trip to Canada to try to more fully understand their “Canadian cuisine”, which I have alleged is about as real as the Yeti or the Loch Ness monster. 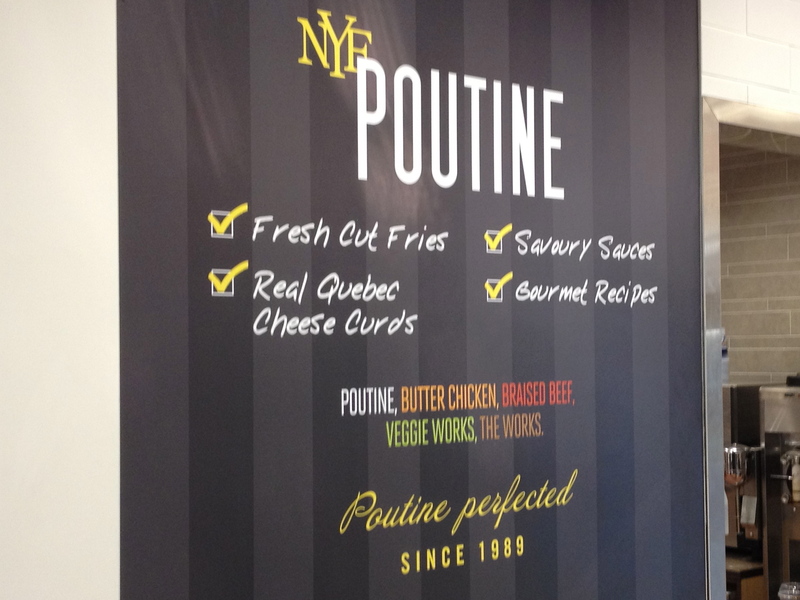 You may want to review a previous post, “Canadian Cuisine – Oxymoron or Not?” where we talk about their national dish – Poutine. Made with French fries topped with cheese curds and brown gravy, one is tempted to giggle thinking that this is a “national dish”. Since I had gone public with my sentiments, I decided not to travel too deeply into Canada for fear that they might take me and my wife hostage. So we went from home in Wisconsin to Niagara on the Lake, Ontario – close enough to escape on foot back to the U.S. 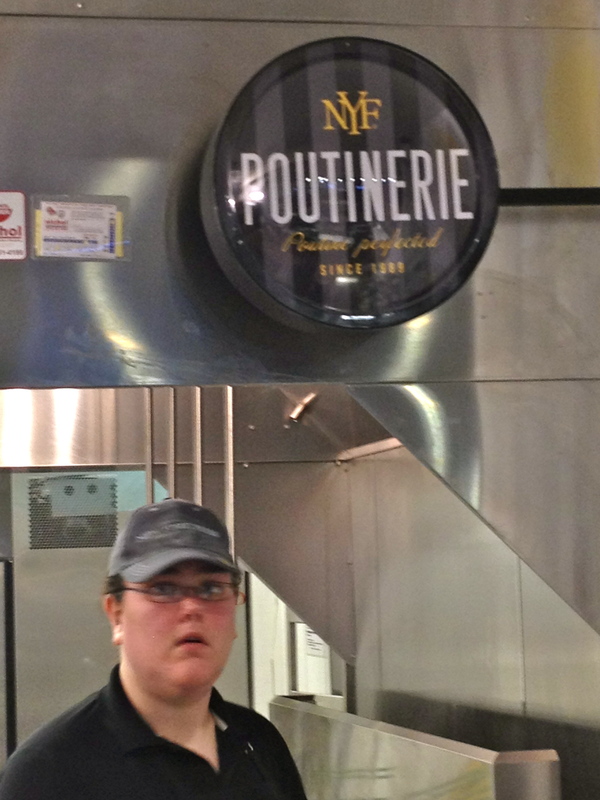 The Canadian team – actually family and friends – were going to show us how to make a gourmet Lobster Poutine. They dubbed the meeting “The Canadian Vindication” – whatever. We arrived the night before the debacle, I mean spectacle, only to find our friends planning to make homemade cheese curds the following day. We all know that cheese curds are a Wisconsin invention. We are the Cheeseheads and everyone is, or should be, clear on that. Yet, we found these cross-the-border wannabes getting all of their gear ready to copy our treasured dish. I was somewhat offended, but tried not to let it show. They must have noticed my concern because they tried to calm me with a couple of glasses of wine. Since they are members of the Bravado Food Society (Ontario branch), they had to be treated with respect, and they were also following one of the great Bravado principles – making things from scratch. Actually, I had never made cheese curds or cheese, so it was an interesting and new experience. As good hosts they invited me to participate in the whole process. The following day, it quickly became apparent that it was not difficult to make cheese curds – after all, even the Canadians could do it. The only issue is obtaining certain items that you don’t commonly find in the supermarket; namely, fine mesh cheesecloth, rennet, calcium chloride and a thermophilic culture. They explained that these are easily obtained from the New England Cheesemaking Supply Co. (www.cheesemaking.com). They have a recipe for curds, which involves active cooking time of about two hours, after which the curds need to be pressed for 1-3 hours. 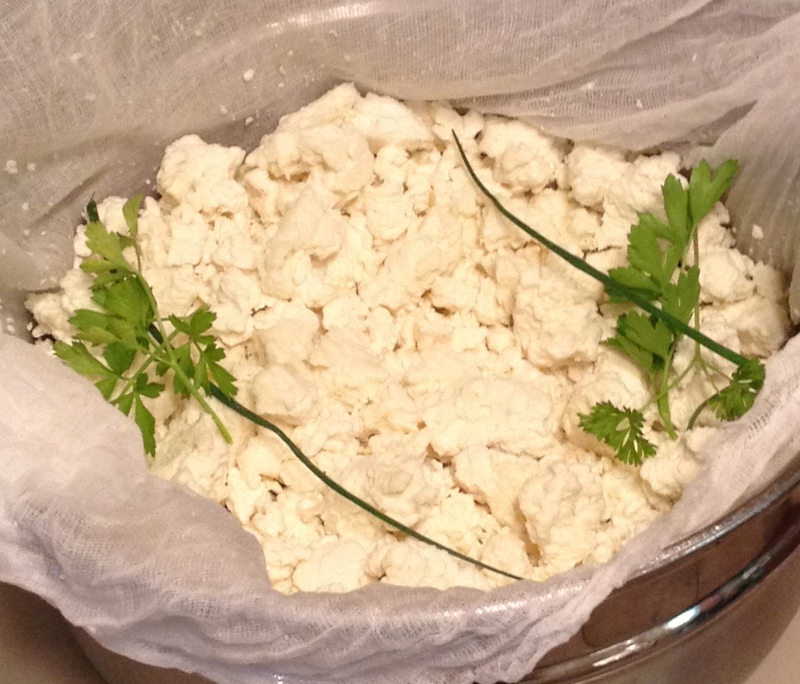 (We’ll do a post later on what curds are and the chemical process that allows you to separate curds and whey). We began the curd making mid-morning. We heated the milk to about 100 degrees, added the calcium chloride and thermophilic culture and let it sit for 30 minutes. We then added the rennet, stirred for 30 seconds and let sit for another 30 minutes, at which time we had a white gelatinous curd substance instead of milk – very magical. We diced the up the curds in the pot and “cooked” them at a slightly higher heat – about 115 degrees for 45 minutes. We separated the curds and the whey using the cheesecloth, and then tied the cloth as tightly as possible, squeezing the curds. We set the cheese curd ball in a colander, put a one gallon milk container filled with water on top for a weight and “pressed” the curds for about three hours. While the curds were being pressed, we began working on the lobster. We started with four frozen lobsters, which, after defrosting, we cooked in boiling water for about 3 minutes. After cooling, we took the meat out of the shells and set aside. We then made a broth with the shells, assorted vegetables and spices. It was early afternoon, and we needed to simmer the broth for two hours, so we popped a bottle of wine and began to prepare the potatoes. When the broth was ready, we used a colander to separate the liquid from the lobster shells and the other “stuff”. We continued to simmer to reduce the broth. After about one hour, we added a few tablespoons of butter to thicken the broth into a nice creamy sauce. We put the lobster meat back into the sauce to warm up. Excitement was building. 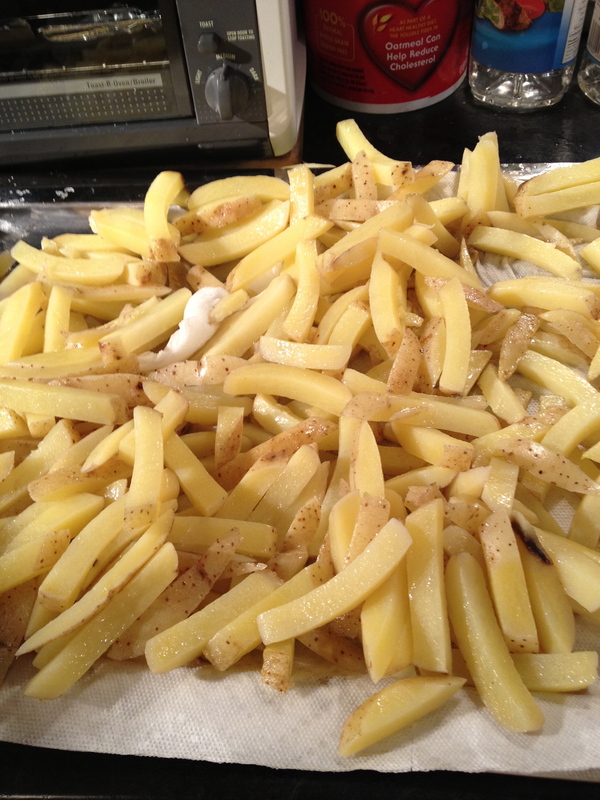 We then began deep-frying the potatoes while we unwrapped the cheese curds, separated them and added a little salt. We tested the “squeakiness” of the curds with a glass of wine. It seemed like the right thing to do. Now was the moment of truth. We began plating the dish using large soup bowls. Starting with a generous serving of French fries, we added a handful of cheese curds and finally ladled the lobster sauce on top. After taking one bite, I dropped to one knee, took the hand of my host and begged forgiveness for all previous comments. I declared that the dish was definitely the “Canadian Vindication”. (I am confident that this was the right decision even though we were on our third bottle of Rombauer chardonnay). I’m not sure we have enough data to declare the discovery of a “Canadian cuisine”, but Poutine is definitely good enough to be a true national dish. 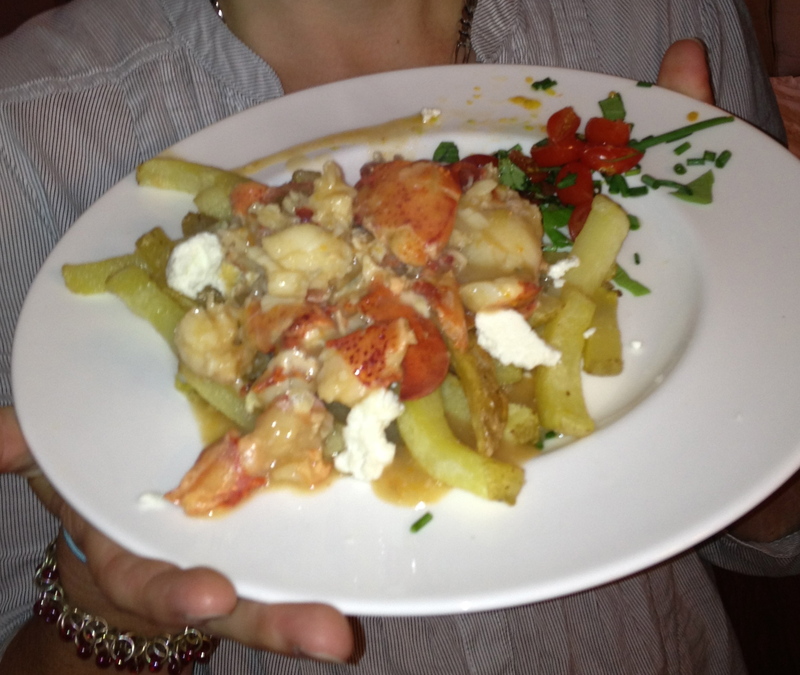 And, Lobster Poutine is clearly one of the best examples – a perfect combination of elegance and comfort food. Poutine is a also perfect Bravado dish. All the ingredients can be made from scratch, even the cheese curds, and the endless variety of sauces allow the Bravado chef to creatively experiment. As we left Canada, we stopped at a roadside service center that had a food court. All three vendors offered Poutine. I tried a Chicken Curry version and suddenly realized that the Canadians are serious about this whole thing. We may have to start importing it. 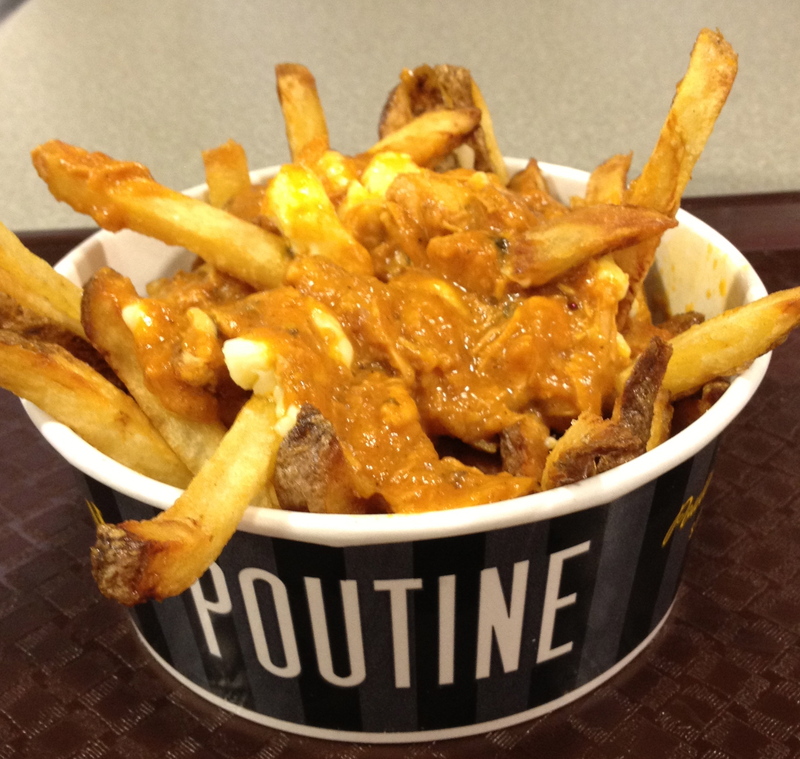 Watch for future posts on interesting Poutine sauces.